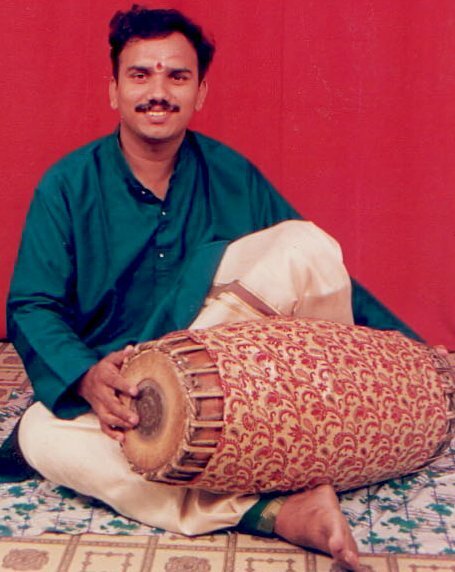 Gajendra Ganesan, a senior disciple of Hanumanthapuram R.J. Bhuvaragan, has been in the field of music for the past seventeen years. A sole candidate to have won the merit scholarship from the government of India, dept of tourism and culture, New delhi. Ganesan has accompanied many an eminent artists, musicians (vocal and instrument) and dancers in India and Abroad. He has traveled to various countries like Canada, Mauritius, Thailand, Srilanka, Dubai etc accompanying dance and music artists. He has a teaching experience for more than 10 years and also imparts training online to students abroad. He holds a fusion troupe of his own with Indian and western instruments and has performed for many functions and occasions.